I opted to skip my normal friday PADI Turtle because it's on a rubber tropic strap. The Sinn is on a warm and comfy green canvas strap. Much more appropriate for this grey & overcast day that should be getting colder as it goes on. 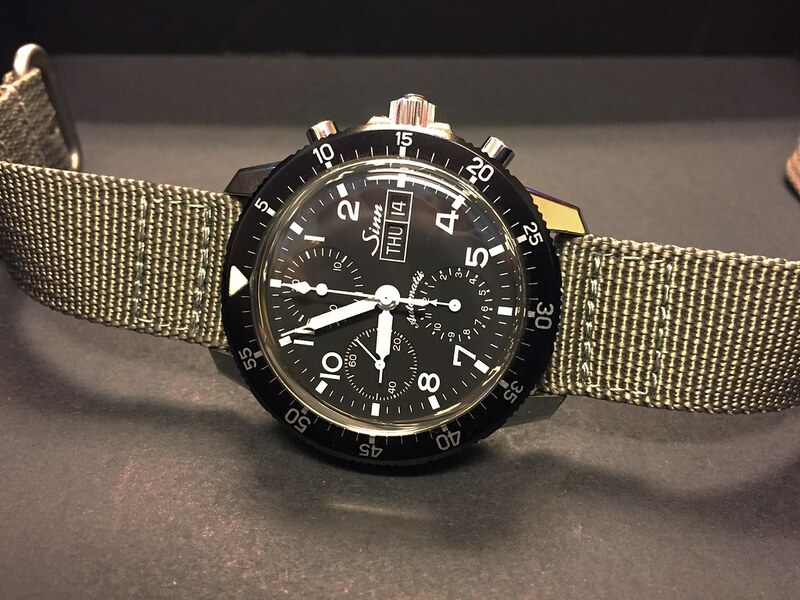 Looks similar to this, although this is a 2 piece nato strap.